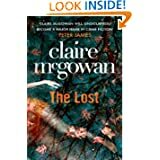 This is Claire McGowan's second novel, but my first time coming across her work. 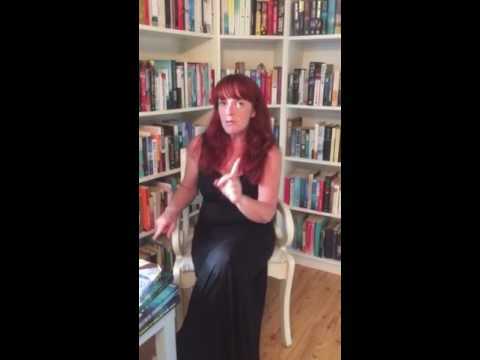 An Irish author, she has based her novel around the border between the North and South of Ireland, and as I live very close to this area, I was curious to see how the atmosphere would be captured. Paula Maguire, a forensic psychologist, has been living and working in London for many years helping the police with their missing persons cases. When she pushes her luck too far with her bosses she agrees to take on a secondment position back in Northern Ireland. She has avoided the return to her homeland for many reasons, of which she would rather forget. However, when two teenage girls disappear without trace, Paula finds herself back in her family home, driving through familiar streets and digging up secrets from the past. The cross border tensions are still present as Paula sets to work within a team of police officers and detectives from both sides. There are rumours of a link with previous cases of missing teenage girls in the 1980s and despite being told to concentrate on the recent disappearances, Paula decides to enroll the help of a local journalist to aid her investigation. The fact that he is an ex makes the request all the more difficult. This is a multi layered story of lost loved ones, bitter memories and the longing to uncover truths. All through this novel is the backround story of the tensions in Northern Ireland and the reprecussions of the troubles. Ireland is one of the few countries where a simple statement, like where you went to school or what your surname is, can identify your religion and this is the cause of a lot of the bitterness within the cross-border police units. Claire has seen and felt the tremors throughout her home town since childhood and now her new caseload includes the clashing of the Traveller community and the NI police force aswell as the usual problems. I found this book gripping from the very first chapter. The main story line of the missing girls is not a new one, but is handled extremely well by combining it with the sub plots. Paula is a great protagonist and the supporting cast are equally well researched and cleverly used to strengthen the story. The writing is done at a nice pace, with lots of twists and turns along the way. I understand that this is first of a series of Paula Maguire novels, and I cannot wait to get my hands on the next instalment. Claire McGowan is well able to hold her head up high in the world of crime fiction. Perfect for fans of Louise Phillips and Julie Parsons. Just don't expect to be able to put it down for any length of time!